This family-run 3-star hotel enjoys a quiet location in the heart of Kassel, and benefits from excellent public transport links. A tram stop is just a short walk away. 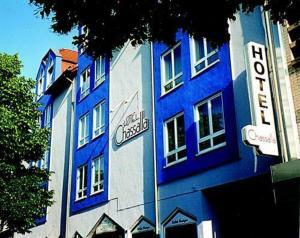 The Hotel Chassalla takes its name from Kassel’s medieval name, Chassella. It offers comfortable, well-equipped rooms and a delicious breakfast buffet every morning. Keep in touch via Wi-Fi internet access, available in the Chassalla's public areas for an additional fee. Guests are welcome to relax with a refreshing drink on the garden terrace during the summer. The Chassalla also offers conference facilities for up to 50 people and free parking . Thanks to the hotel's convenient location, you can easily reach the Bergpark, with its famous statue of Hercules atop the Oktagon, the Fridericianum museum and the city centre. 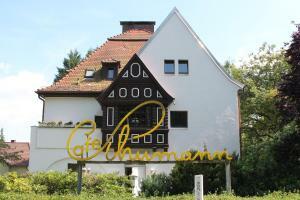 This 4-star hotel offers elegant accommodation in the Habichtswald Nature Park near Kassel. Hotel Elfbuchen offers free Wi-Fi and is just 1.5 km from the Herkules Monument. The spacious rooms of the Hotel Elfbuchen are tastefully furnished in a classic style. Some have their own hot tub. A full breakfast buffet is provided each morning at Hotel Elfbuchen. The restaurant serves local meat dishes. The hotel café offers coffee, ice-cream and fresh waffles and cakes. Guests are welcome to relax on the hotel terrace with forest views. 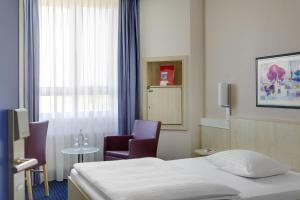 The Stadthotel Kassel offers functional but cosy en-suite rooms with free Wi-Fi internet access. Wake up to a rich breakfast buffet in the bright breakfast lounge. From the Stadthotel Kassel, you can easily reach the town's key attractions on foot or by public transport. These include the Orangerie palace, Brüderkirche church, and Fridericianum museum. Paid car parking is available on site. This hotel lies just a 10-minute car journey from Kassel’s centre, only a 20-minute walk from Schloss Wilhelmshöhe castle and its extensive parkland, home to the impressive Hercules monument. The 4-star Kurparkhotel Bad Wilhelmshöhe offers spacious, individually furnished rooms with modern amenities including wireless internet access. Complimentary wired internet can be accessed in the hotel’s public areas. In Restaurant Conrads enjoy delicious specialities, including game, fresh fish and seasonal vegetarian options. In the café, try home made pastries and cakes with a coffee during the day. Relax in the Kurparkhotel Bad Wilhelmshöhe spa area, which features an indoor swimming pool, Finnish sauna and hot tub. Private parking is available in an underground car park at the hotel. This hotel in Kassel is located directly on the Fulda River, with a traditional beer garden overlooking the waterfront. Comfortably furnished rooms offer free Wi-Fi and scenic river or countryside views. The classic-style rooms at the Hotel Roter Kater feature satellite TV, a radio and a wooden furnished work desk and wardrobe. Some offer a seating area with a large sofa and balcony. In the Graue Katze restaurant guests are served a buffet breakfast and typical dishes from the Hesse region. In summer months barbecue facilities can be enjoyed on the outdoor terrace. Guests wishing to explore the surrounding Hessian countryside can rent a bicycle from the Kater Hotel. A relaxing sauna, children’s playground and complimentary newspapers are also provided. Directly in front of the Roter Kater Kassel is an ideal fishing spot. Kassel Train Station is about 9 km away. This Hotel Palmenbad is set just a 5-minute walk from the UNESCO hermitage site Berpark as well as Schloss Wilhelmshöhe. Guests are offered modern rooms, a daily breakfast buffet and an international restaurant. The 12 rooms are each individually designed and come complete with an HD flat-screen TV, tea/coffee facilities and Wi-Fi. Parking is free at the Hotel Palmenbad, and the Kassel-Wilhelmshöhe Railway Station is less than 2 km away. This non-smoking hotel in Kassel features Mediterranean-style rooms with free Wi-Fi. It lies in Kassel-West, a 5-minute tram ride from the city centre. The rooms at the Adesso Hotel Astoria include a minibar, satellite TV and soundproofed windows. A hairdryer is provided in each bathroom. A large breakfast buffet is provided at the Adesso Hotel Astoria each morning. The Friedenskirche tram stop is a 2-minute walk from the Adesso. From there, tram number 4 runs to Wilhelmshöhe Station in just 4 minutes. The Stadthalle Congress Centre is just 300 metres away. Dating from 1900, this stylish villa offers modern suites and apartments with a kitchenette. Villa Andante Apartmenthotel garni is 2 km from Wilhelmshöhe Castle and a 10-minute drive from Kassel city centre. The bright and spacious suites and apartments feature antique-style wooden furnishings. All include free wired internet and a flat-screen TV with satellite channels. Some also have a balcony or terrace. A rich breakfast buffet is offered at the hotel. Coffee specialities, cakes and handmade chocolates are served in Cafe Mirabell with its bright interiors. Guests are welcome to relax in the garden, where barbecue facilities are also available. Public transportation offering connects to central Kassel can be found 150 metres from Villa Andante. Private parking is free for guests. The A44 motorway and Kassel-Wilhelmshöhe Train Station are both just 3 km away. 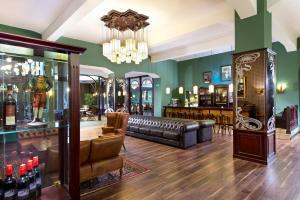 This 4-star hotel in the centre of Kassel features free Wi-Fi, a bar and its own beer garden. Kassel Main Train Station is a 2-minute walk away. Golden Tulip Kassel Hotel Reiss offers chic rooms with modern furnishings. Each room includes a flat-screen TV, tea/coffee facilities and a private bathroom with hairdryer. Shops and restaurants can be reached in 10 minutes’ walk, while Wilhelmshöhe Castle is 5 km away. Guests can also take a boat ride on the Fulda River, 1 km away. 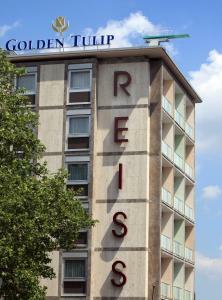 Golden Tulip Kassel Hotel Reiss is 6 km from the A7 motorway and Kassel Calden Airport is a 20-minute drive away. The hotel offers free private parking on site. Located in Kassel’s business district, this modern hotel is just a 5-minute drive from Kassel Exhibition Centre. Surrounded by spacious gardens, it offers stylish rooms with free Wi-Fi access. Contemporary artwork and a large flat-screen TV feature in each of the bright rooms at Hotel Credé Garni. Complimentary toiletries are provided in the compact bathroom with its unique wash basin and walk-in shower. The minimalist dining room with floor-to-ceiling windows offers charming views of the surrounding gardens. Each morning, a hearty buffet breakfast is provided. Leuschnerstraße tram stop is 500 metres from Hotel Credé Garni and provides a direct route to Kassel city centre (4 km). Visitors can also explore the Botanical Gardens, which are just a 10-minute walk away. Hotel Credé Garni is 1.5 km from the A49 motorway and 5.5km from the A7 motorway. Free private parking is available on site. Facing a scenic green courtyard, this unique guest house is located in Kassel city centre. Foto-Motel Fensterzumhof offers free Wi-Fi in most rooms, a library, and bike rental is available. The bedrooms all feature bright, individual design and some have an en-suite bathroom. The apartments with private entrance, include a fully-equipped kitchen, and a patio or balcony. A daily organic breakfast can be requested at Foto-Motel Fensterzumhof. A number of lively bars, cafés and restaurants can be found within 1 km from the guest house. Kassel University is just 1 km from Foto-Motel Fensterzumhof. Kassel Downtown can be reached in 2 minutes by car and Fridericianum Documenta Hall is 2 km away. On-site parking is available and the A7 motorway is reached in 9-minutes by car. Kassel Main Station is 800 metres from Foto-Motel Fensterzumhof and Lutherplatz S-Bahn Station is 750 metres away. The front of the Tryp by Wyndham Kassel City Centre dates back to 1905. It features Art Nouveau décor. A living room area and games room with large TV screen are offered by theryp by Wyndham Kassel. There is also a fountain in the atrium and daily newspapers or magazines in the lobby. This family-run, non-smoking hotel 3.5 km from the Kassel city centre offers free Wi-Fi in public areas, and an international restaurant. It is a 1-minute walk from the Leuschnerstraße tram stop. The bright rooms at the Hotel Celina all have soundproofed windows and a private bathroom. Hotel Celina was completely renovated in 2010. It is a 20-minute walk to the large Karlsaue Park in the city centre, and it is a 10-minute drive to the famous Wilhelmshöhe Palace. A breakfast buffet is provided at Hotel Celina each morning. In the evening, the Restaurante Italo-Latino serves Italian and Latin-American cooking as well as traditional German dishes. Free tea, coffee, water and juice are available daily. 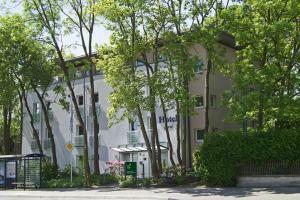 Hotel Celina is 4 km from Kassel Train Station, and it is a 2-minute drive to the A49 motorway. This hotel offers free parking, a free internet terminal and a 24-hour bar. 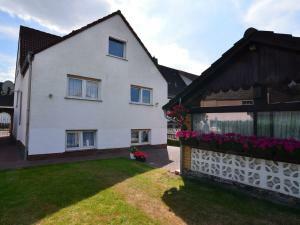 It is 2 minutes from the A7 and A49 motorways, and 10 minutes from Kassel’s city centre. All rooms at the Hotel Ibis Kassel include a TV and a private bathroom with hairdryer. Wi-Fi is free in the lobby. A breakfast buffet is available between 04:00 and 12:00. The La Table restaurant offers evening meals. Ibis Kassel’s bar provides snacks and drinks all day. The Rothenbach-Halle events hall is a 3-minute drive away. Five function rooms are available for groups, meetings and conferences. All of the rooms feature modern presentation equipment. The pentahotel also offers a secretarial service, a laundry service, and safety deposit boxes at the reception. 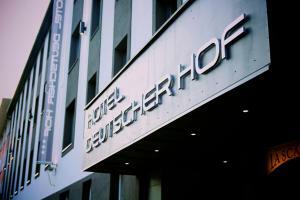 The Hotel Deutscher Hof and restaurant can be booked to host receptions for between 10 and 60 guests. Free Wi-Fi is offered at this hotel, located a 10-minute walk from Kassel Main Station. Providing simple accommodation with free WiFi in a central location, Kassel University is 1 km away. Rooms at Hotel Schillerquartier are simply furnished and feature warm décor. They include a desk and a flat-screen TV with satellite channels. There is a wash basin and shower in each room, and the toilet is on the corridor and is shared with 2 other rooms. Guests have access to Hotel Schillerquartier’s shared kitchen, which comes with a stove, refrigerator, and coffee machine. Guests are also welcome to use the hotel's BBQ facilities. On request, a cooked breakfast can be provided. The hotel’s central location means that many shops and entertainment venues are within 500 metres. Fridericianum Museum is 1.5 km away. The main shopping street is a 10-minute walk away. The A7 motorway is just 8 km away from the hotel. Kassel Train Station is 800 metres away and Lutherplatz Tram Stop is 750 metres away. B&B Hotel Kassel offers comfortable rooms just a 15-minute walk from the spacious Karslruhe Park in the heart of Kassel city centre. Free Wi-Fi internet access is available throughout the hotel. The bright, modern rooms at B&B Hotel Kassel all feature flat-screen satellite TV and have an en suite bathroom. The Kassel conference grounds can be reached in an 8-minute drive, and it is 6.5 km to the famous Wilhelmshöhe Castle which is located in the city. A breakfast buffet is offered each morning, and within a 10-minute walk of the hotel there are several cafés and restaurants specialising in German and international cuisine. B&B Hotel Kassel is 2 km from Kassel Train Station, and it is a 10-minute drive to the A7 motorway. Free private parking is available on site at the hotel. This historic, wooden-framed hotel in Kassel offers traditional food from the Hesse region, a spacious beer garden and quiet rooms with country-style furniture. Parking is free. Just a 10-minute walk from the Habichtswald Nature Park, the Hotel Gasthaus Papen Änne has brightly decorated rooms with a TV and private bathroom. The Änne is the oldest guest house in Kassel. Rich buffet breakfasts, seasonal specialities, and special diet menus are prepared at the Papen Änne. The restaurant features a bright conservatory with views of the beer garden. Kassel city centre and the Schloss Wilhelmshöhe Palace are about 5 km away from the Hotel Papen Änne. The A7 and A44 motorways are 10 km away from the Änne. The hotel offers 5 conference rooms for up to 16 people. At the reception desk fruits, pastry, coffee and juices are available at all times. Beverages from the mini-bar in your room and 1public transport ticket are free of charge. This 3-star Superior hotel in Kassel features comfortable rooms with breakfast included, free Wi-Fi internet and a wellness area. It is located just a 10-minute walk from the town hall. All rooms at the City Hotel come with cable TV, a minibar and a seating area. The wellness area includes a sauna, steam room, relaxation area and fitness studio. Free Wi-Fi internet is available throughout the City Hotel. Thai cuisine is served in the Nakorn restaurant. 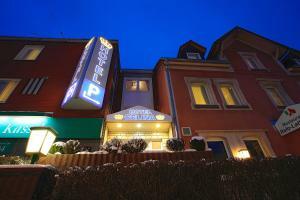 Located 1.6 km from Kassel Main Station, PreMotel-Premium Motel am Park offers a garden and a terrace. The motel is 2.4 km from the Kassel Exhibition Centre. Each of the rooms at the accommodation comes equipped with a flat-screen satellite TV and a private bathroom with a hairdryer. Guests are also welcome to relax in the shared lounge area. A fresh breakfast is available at an extra charge at PreMotel-Premium Motel am Park. There are also vending machines for drinks and snacks, and a selection of restaurants can be found within a 5-minute walking distance. The scenic Karlsaue Park is 1.2 km from the accommodation, and it is 1 km to the Kassel Botanical Gardens. The Brothers Grimm Museum can be reached in 15-minutes using public transport. 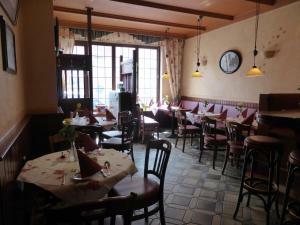 Offering a la carte restaurant, Hotel am Rathaus is located in Kassel. Free WiFi access is available. Rooms here will provide you with a tv and satellite channels. Featuring a shower, private bathrooms also come with a hairdryer and towels. Extras include linen. 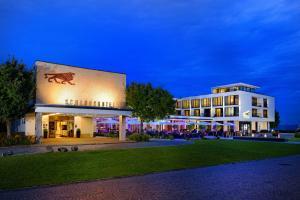 The hotel is 4.6 km from Kurhessen Therme, 300 m from Fridericianum and 1.7 km from Auestadion. Paderborn-Lippstadt Airport is 69 km away. This family-run hotel in Kassel provides culinary diversity with its 2 restaurants, architectural style and a wealth of facilities to ensure guests have a full and pleasant stay. See the sights of Kassel and experience its exciting fairytale associations with the Brothers Grimm. The hotel rooms are comfortably furnished and promise a relaxing stay, whether for stopover or for a longer trip. The hotel is situated on the edge of the town near to a forest, only a 3-minute drive from the motorway. 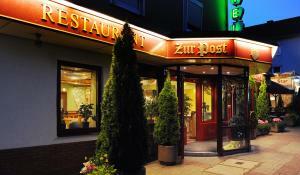 Offering an a la carte restaurant, Hotel Restaurant Zur Post Lohfelden is located in Kassel. Free Wi-Fi access is available in some rooms. Rooms here will provide you with a TV. The private bathrooms also come with a hairdryer and free toiletries. Extras include a desk and linen. 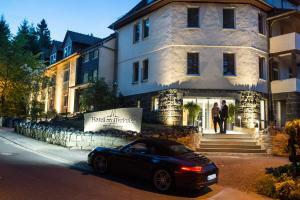 The hotel is 9 km from Kurhessen Therme Spa, 5 km from the Fridericianum Museum. This hotel offers rooms and apartments with an original design, a lounge with fireplace, and free tickets for public transport in Kassel. Kassel Wilhelmshöhe Train Station is 400 metres away. The brightly furnished rooms of the 3-star Hotel Schweizer Hof feature satellite TV and a modern desk. All guests receive a free bottle of mineral water on arrival. Free Wi-Fi is available in all public areas of the Schweizer Hof. A big breakfast buffet is prepared at the Schweizer Hof each morning. Guests are welcome to relax on the Schweizer Hof’s terrace in good weather. Private parking is available for an additional fee at the hotel. Hotel am Herkules is located in Kassel within Bergpark Wilhelmshöhe National Park and features a bar and sunny breakfast terrace. It offers free WiFi and a sauna. Rooms at Hotel am Herkules are bright and classically decorated. They each include a flat-screen TV, desk and en suite bathroom with a shower or bath. Guests are welcome to enjoy a drink in the hotel bar in the evening. Each morning, a hearty breakfast of local ingredients is served in the sunny breakfast room or on the terrace. Guests can use the hotel’s shuttle service to get to the Herkules monument and waterfall, which is 2 km away from the hotel. The Hohes Gras ski lift is 3 km away and the River Fulda is just 5 km away from the property. The A44 motorway is a 10-minute drive from the hotel, which offers free private parking. This 4-star-superior hotel is located in the Kurfürsten Galerie, a 5-minute walk from Kassel's train station and university. It offers free WiFi and a terrace. All rooms at the Best Western Plus Hotel Kassel City have tea/coffee facilities and a flat-screen TV with satellite channels. They each have an en suite bathroom with a hairdryer and complimentary toiletries. Brasserie Le Coq serves authentic French cuisine. Guests can enjoy large buffet breakfasts with different types of tea and coffee in the mornings. The hotel also features a bar with Sky Sports TV. A range of shops and entertainment venues are just outside Best Western Plus Hotel Kassel City. Trams and buses can be found at Königsplatz Square, a 2-minute walk away. This hotel is located on the edge of a forest outside Kassel, just 2 km from Bergpark Wilhelmshöhe. 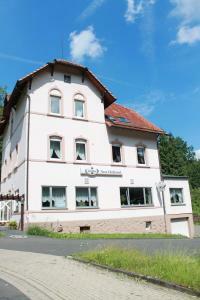 Hotel am Brasselsberg offers a café serving home-made cakes, as well as free parking. The contemporary-style rooms at Hotel am Brasselsberg include satellite TV, a desk and a private bathroom with shower. Some rooms have a balcony. WiFi is available for an extra charge. Many activities such as hiking can be enjoyed in the surrounding area. Hotel am Brasselsberg is 2.6 km from Kassel-Wilhelmshöhe Train Station and 2.7 km from Kassel Main Station. Paderborn-Lippstadt Airport is 65 km away. 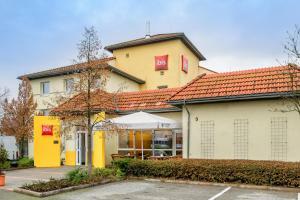 This hotel is located on a small hill beside the A7 motorway, a 10-minute drive from the centre of Kassel. It offers free parking and is open 24 hours a day. Each room at the Axxe Hotel Kassel Ost has a private bathroom and a TV with international channels. A breakfast buffet is available for an extra charge. A wide range of meals are served for lunch and dinner. Also on site are a café and a shop selling travel accessories. 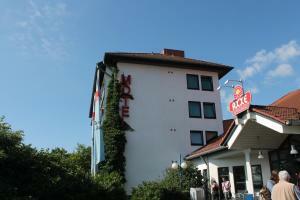 The Axxe Hotel Kassel Ost and service station are accessible from both sides of the A7 motorway. In addition to free outdoor parking, the hotel offers spaces in a garage for an extra fee. 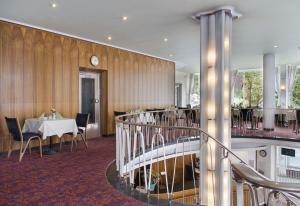 Hotel Restaurant Neu-Holland is located in Kassel, 2 km from the Bergpark Wilhelmshöhe park. The hotel offers free WiFi and a restaurant serving German and Indian cuisine. Rooms at Hotel Restaurant Neu-Holland feature a seating area, satellite TV, a desk and a private bathroom with shower. At Hotel Restaurant Neu-Holland you will find a garden, a terrace and meeting facilities. 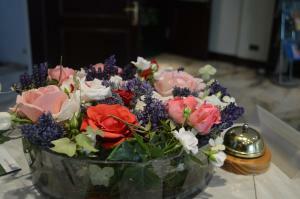 Guests can also pamper themselves with an Ayurvedic beauty treatment. Set on the edge of a forest, there are many hiking trails behind the hotel. There is also a bus stop and a tram stop in front of the hotel. The property offers free parking. It is 4 km from Kassel Main Station and Kassel-Wilhelmshöhe Train Station. Paderborn-Lippstadt Airport is 63 km away. Zwehrener Hof is located in Kassel. Free Wi-Fi and free parking is available. It has its own restaurant which serves local German cuisine. Each room here will provide you with a cable TV and a private bathroom. Extras include a desk and bed linen. At Zwehrener Hof you will find a bar as well as luggage storage facilities. The hotel is 3 km from Museum Brothers Grimm, 3 km from Train Station Kassel-Wilhelmshoehe and 3 km from Kassel Central Station. The Hotel Excelsior offers 6 seminar rooms between 26 m² and 85 m² in size. All rooms feature natural daylight and are quietly located. The hotel also features a mini-sauna for 2 people. This hotel is centrally located in Kassel, 1.2 km from Kassel Main Station, 1.3 km from Kassel-Wilhelmshöhe Train Station and 2.2 km from the Bergpark Wilhelmshöhe. 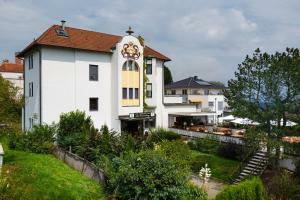 Hotel Zum Berggarten offers free WiFi, a restaurant and beer garden. A range of seasonal and regional German specialities are served in the restaurant and in the beer garden. Guests are also welcome to relax at the bar. 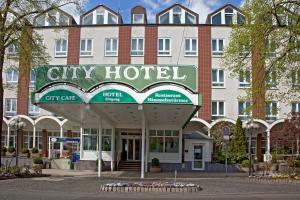 This 4-star hotel is 4 km east of Kassel city centre. It offers modern rooms with free Wi-Fi and a spa with an indoor swimming pool. The Queen’s Garden restaurant offers a buffet breakfast and international dishes. The bistro features a summer terrace. The bar is open daily until 01:00. The Wyndham Garden Kassel has a sauna, solarium and gym. The nearby Eichwald woods are ideal for walking or jogging. The Wyndham Garden Kassel is 1 km from the Kassel-Nord exit of the A7 motorway. Kassel Main Station and the Kassel Exhibition Centre are 5 km away. On-site parking is available at the hotel. This hotel in Kassel’s Old Town offers a 1950s design, soundproofed rooms, and a free fitness room. The Kassel town hall and Rathaus tram stop are 50 metres away. 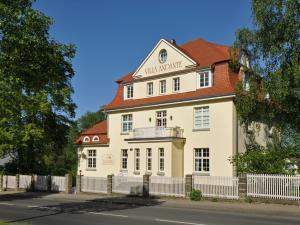 This hotel is located in the quiet Niederzwehren district of Kassel. Parking is free. All rooms at the Hotel Gude include free wired internet and satellite TV. Some have a terrace or balcony. The Hotel Gude Kassel offers free bicycles. It is 4 km from the Orangerie Castle and 6 km from the Wilhelmshöhe Park. The Brüder-Grimm-Straße tram stop is 200 metres away. There are direct trams to Kassel University, Kassel Main Station and Kassel city centre. Rooms at Schlosshotel Kassel are beautifully furnished. Most rooms include a balcony. Regional and international cuisine is served in the restaurants. Guests can also dine on the terrace. Parking spaces are available on site. The A44 motorway is a 10-minute drive away. This family-run hotel on the outskirts of Kassel enjoys a peaceful location directly next to the Habichtswald reserve and Wilhelmshöhe park with its Wilhelmshöhe Schloss palace and Herkules statue. The long-standing Hotel am Sonnenhang offers spacious, quiet rooms where you can enjoy a good night's sleep. All rooms include free Wi-Fi access. Wake up to a tasty breakfast on the sunny terrace before exploring the surrounding hiking routes and bicycle trails. Convenient transport links help you reach the attractions of Kassel's city centre with ease. This top-class hotel boasts exquisite architecture, and offers an exclusive place to stay in the centre of Kassel. Kassel Exhibition Centre is 2 km away. Grand La Strada-Kassel's vielseitige Hotelwelt offers fitness and spa facilities in the hotel, complete with a gym, high-grade fitness machines, swimming pool and sauna. The hotel‘s Restaurant Mediterrané serves daily themed buffets, including a rich breakfast buffet. Guests can also enjoy the specialty restaurant Osteria Uno, Henry's Schänke lounge bar, and Holly's bar with live music. A shopping centre is found near Grand La Strada-Kassel's vielseitige Hotelwelt. The hotel is located just 5 minutes‘ drive from the motorway. This hotel in Kassel offers modern accommodation, Wi-Fi internet and free public transport. It is located next to the Kassel-Wilhelmshöhe train station and a 15-minute walk from the Kurhessen-Therme spa. 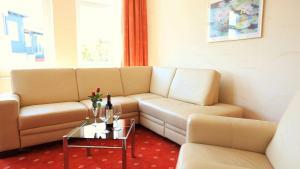 The rooms and suites of the InterCityHotel Kassel come with a TV, Wi-Fi internet and a minibar. Guests are welcome to use the InterCityHotel's business centre and internet terminal. 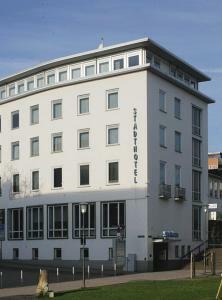 The InterCityHotel Kassel lies 50 metres from the nearest tram stop. The city centre is 3 km away. Gästehaus Beckerwelt is situated in the north of Kassel. The homestay offers shared kitchen and bathroom facilities. The nearest supermarket is 900 metres from Gästehaus Beckerwelt. A selection of restaurants and cafés can be found within a 10-minute walking distance of the accommodation. The Bergpark Wilhelmshöhe, a UNESCO World Heritage Site, is 6 km from the guest house, and the Orangerie is 5 km from the homestay. Other popular activities in the surrounding area include hiking and cycling. Free public parking is possible at Gästehaus Beckerwelt, and it is 1.5 km to Kassel-Jungfernkopf Train Station. In cooperation with the Stadthalle Kassel congress centre, the Ramada Hotel offers 27 conference rooms for events of up to 3000 people. All of these rooms feature modern presentation equipment. This holiday home is located in Kassel. It is around 60 m2 and located on ground and 2nd floors. The accommodation will provide you with TV and DVD player, an equipped kitchen with microwave and refrigerator, private bathroom also comes with bath or shower, two bedrooms, storage room, central heating and shared garden. Nearby attractions: Kurhessen Therme (8.1 km) and Fridericianum (3.7 km). This holiday home is 73 km from Paderborn-Lippstadt Airport in Paderborn, 5.0 km from nightlife and center, 1.0 km from restaurants and public swimming pool. Just 2 km from the beautiful Wilhemshöhe Castle and Gardens, this quietly located hotel next to the Dönche Nature Reserve offers free WiFi and a modern breakfast room. Habichtswald Forest is a 10-minute walk away. Contemporary rooms with satellite TV and a work desk are offered at BioHotel-Wilhelmshöher Tor. The modern bathrooms include a hairdryer. Allergy-free and barrier-free rooms are also available. Kassel is famous for the Documenta Contemporary Art Exhibition and is the former home of the Brothers Grimm. The hotel is a short distance to many museums and theatres and various hiking and cycling trails can be found in the surrounding forests. BioHotel-Wilhelmshöher Tor serves a fresh, breakfast buffet every morning and uses only organic ingredients. All items in the minibar are also organic. Central Kassel is just a 10-minute drive away, and parking is free at the hotel. 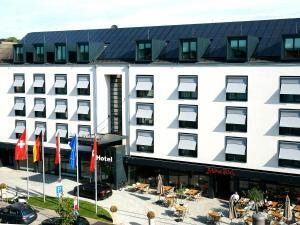 This modern hotel is located in the Waldau district of Kassel, just 2 km from the A7 motorway. Premiere Classe Kassel offers free WiFi and free public parking on site. Stylish, air-conditioned rooms at the Motel One feature designer lighting, a flat-screen TV and a mobile desk. Each room includes an en suite bathroom with a rain shower and a hairdryer. A buffet breakfast is served daily, and a variety of restaurants can be found within a 5-minute drive of the hotel. Offering a terrace, a hotel bar, and free WiFi, Hotel Lenz is located in the historic town of Kassel. Wilhelmshöhe Palace is 7 km from this family-run establishment. Rooms here are bright and classically decorated, with carpeted floors and contemporary furnishings. Each room features a desk, cable TV, and a modern bathroom. Some rooms include a bathtub. A hearty breakfast buffet is available every morning, and the restaurant serves traditional German and regional specialities in the evenings. A supermarket is located 200 metres from the property. Karlsaue Park, including the Orangerie Palace, museums and botanical gardens, is 1.5 km from Hotel Lenz. An ice skating rink is reachable in 10 minutes on foot. The nearest Ubahn station is 650 metres away, with connections to Kassel Central Station (3.5 km). The A49 motorway is a 3-minute drive, and free parking is available. This modern superior hotel in Kassel offers brightly decorated rooms with free WiFi, a friendly atmosphere, and a convenient location within easy walking distance of the university and city centre. Partially renovated in late 2008, the Hotel Novostar’s well-equipped rooms ensure a relaxing stay. They cater to both smokers and non-smokers. Guests receive free access to the gym and sauna located next door. Wake up to the Novostar’s hearty, comprehensive breakfast. Here, you are just 100 metres from the nearest tram stop and 1.5 kilometres from Kassel’s main railway station. The A7 motorway exit is also only 3 kilometres away. Limited, free parking spaces are available in the immediate vicinity.